If Du could have L in Kuroshitsuji what type of character would he be, demon ,enemy ,or vampire? Well since he is my bad boy probably a demon! Be my bad boy be my bad boy!BAD BOY! 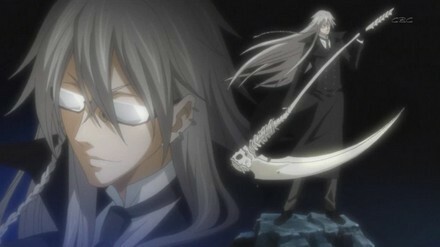 I actually thought of him as a shinigami, but like William T. Spears oder Undertaker when he was a shinigami, nothing like the Death Note shinigami's. DEMON!!!!! omfg that would be sooooo awesome!!!! !